When it comes to wiring your home, hiring an electrician is a must. Whether it’s installing a ceiling fan in a bedroom, or adding recessed lighting to a kitchen, Milton Electric can help you get it done. for references so you can talk to satisfied customers before you make your decision. This will give you a better idea of their work ethic and how previous clients judged their professionalism and quality of work. experienced electrician can identify your issue and fix it quickly and safely. Don’t be afraid to ask how much experience the electrician has so you can determine if they are qualified to do the job right. 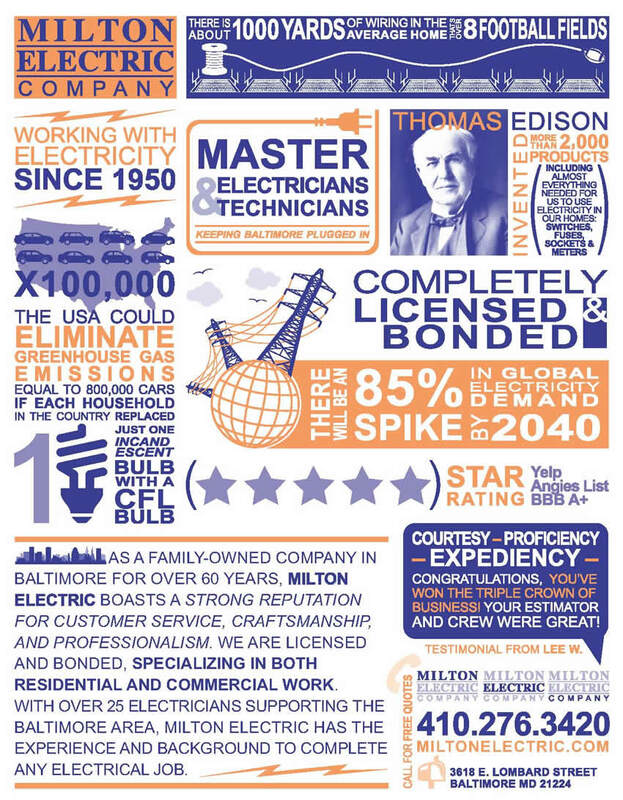 Fully Insured: It is extremely important the electrician you hire is Fully Licensed and Insured. Even the best contractors make mistakes from time to time and you certainly don’t want to be held liable for anything that goes wrong in your home. Provides Estimates: Getting a written estimate or scope of work before the job actually begins is always a good idea. This is an agreement that is in black and white so there is no question as to what the electrician is expected to complete and how much it will cost you. Arranges Permits: For some electrical jobs, certain permits and inspections may be required. Before you hire an electrician, make sure they will handle getting the proper permits and will be responsible for any necessary inspections. This will prevent you from facing a lot of red tape and unnecessary hassles.